Apple’s latest mobile operating system, iOS 8, brings a new features to revamp it Photos app when taking or capturing photos on iOS 8 Device. Some users who’ve made the upgrade may realized that one of the changes to Photos app is iOS 8 Camera Roll and Photo Stream album were completely missing. Previously, if you take a photo on iOS Device, it will immediately save photos or videos to Camera Roll. Camera Roll consists of photos physically stored on iOS Device. 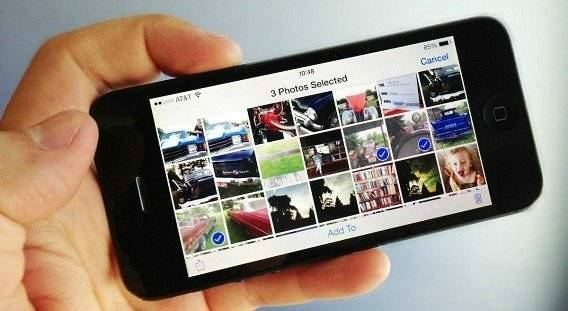 Photos that taken with iOS Device, or photos saved from text messages, emails or websites will storage at Camera Roll album. On iOS 8, the removal of the Camera Roll left many people confused. Here’s how to find photos in iOS 8 and Camera Roll located. Open the Photos app in iOS 8, you will noticed that albums for Recently Added, Panoramas, Videos, Bursts, and Recently Deleted. All the photos or videos take will add to album named “Recently Added”. Unfortunately, album Recently Added only contains photos from the past 30 days. However, the photos or videos will simply move to album Collections. 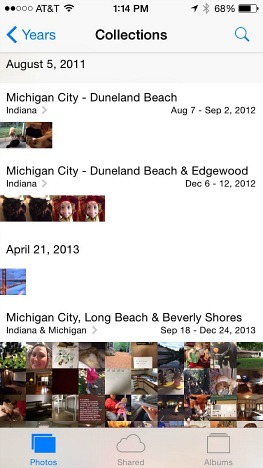 Collections able to organizes all photos by date and location making photos more organized and searchable. To delete a photo from iOS Device, go to the “Recently Added” folder and delete the photo as normal. If you’re still bothered by viewing photos by this way, you can create a new album (select the + in the top left corner of the album view in the Photos app) and manually move photos you want to keep in your albums view to the new album that create.